¡Hola y muy bienvenidos to my Cooking School! As in all cultures, those born and raised in the society are the best source of knowledge about traditions. As a Mexican native, I inherited my Mexican cuisine from my previous generations. And my passion too! Come and share the magic that happens in my cooking classes whenever I share with you my inherited knowledge and very fresh ingredients mixed with a variety of spices and herbs to season, or the miracle that happens when other times I use dry fruits, seeds and nuts to thicken and season the large list of traditional Mexican sauces (salsas). Witness the colors, aromas, and surprising transformations of the dry chiles, while turning into wonderful Mexican sauces (salsas) with flavors that you’ll find nothing less than “amazing”. This sensory experience, combined with your opportunity to cook side-by-side with me and then sit down to a fine, abundant meal you prepared with my teaching passion, provides an unforgettable culinary experience in my cooking classes. Weekday cooking classe emphasize the hands-on experience; students gather around and immerse in Ancestry Mexican cuisine, and work to prepare a full three courses lunch. In my cooking classes you experience: conversation, history, questions, and laughter fill the room, along with the savory scents of roasting fresh chiles, toasting dry chile, garlic, onion, roast tomatoes, cilantro, tomatillos, cumin, cinnamon, and many other “Authentic Mexican” flavors. Cooking class completed, everyone sits down at a long wooden table to enjoy the fruits of their labor, along with a “jarrito de agua fresca de Jamaica”. I take pride in offering high quality cooking classes, loyaly conveying the techniques and “secrets” that have been jelosuly kept in my family for generations. 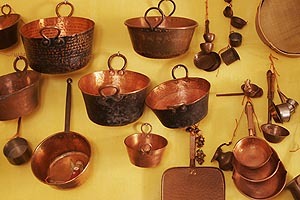 I invite you to learn these techniques and secrets in my cozy kitchen with its antique Mexican molcajetes, metates, cazuelas and ollas. Contact us to hold your space in any of our classes, with a maximum of 8 students per class to insure individualized attention to each. As we relished the range of savory and sweet tamales, including the delicious Oaxacan tamales wrapped in banana leaves, we began to feel that we were learning not just the techniques but also the aesthetics of Mexican Cuisine. In a word, WOW! This was the most authentic, informative, enjoyable and scrumptious cooking experience ever! This is the real deal. 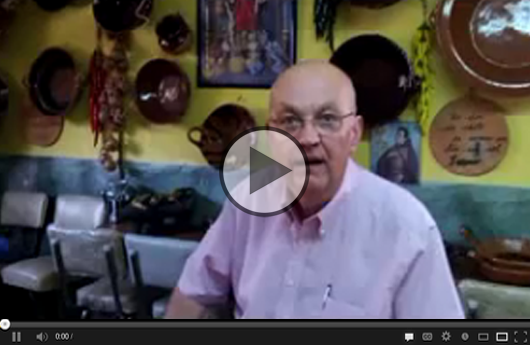 No Americanization of Mexican foods. The dishes we prepared were selected from a long list of menu options all of which represent authentic ancestral cooking that reproduce original flavors and preparation. Two couples spent about three and one half hours with Marilau watching, learning, and eating the results of our labors! Extraordinary in every sense and we will take another class with this magnificent cook and lovely woman who is so gracious and generous with her time and knowledge. Do not miss this extraordinary experience. 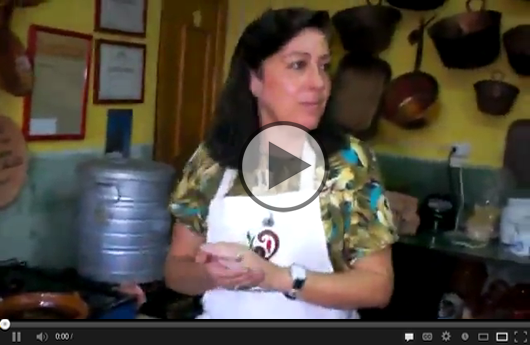 In view of all the fantastic food in San Miguel our meal with Marilau might have been the very best one! Enjoy! Four stars! Comprehensive & charming. Great class. The aromas, the colors and the fabulous taste. I loved the experience! 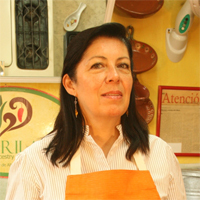 Besides the great varied and delicious Mexican menus I learned, and the small but cozy school, Marilau was a profesional charming teacher who really knows about tradition!